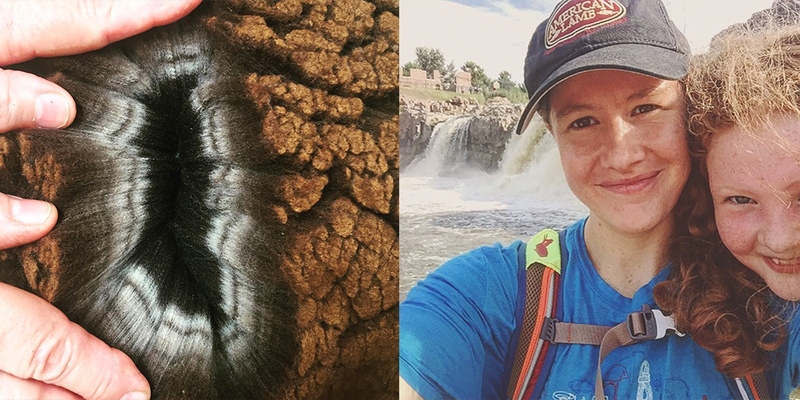 Fiber folk: I first met Emily at the 2016 ASI convention, where I was introduced by our mutual friend Brittany Cole Bush. Brittany’s first words were, ‘You need to get to know Emily. 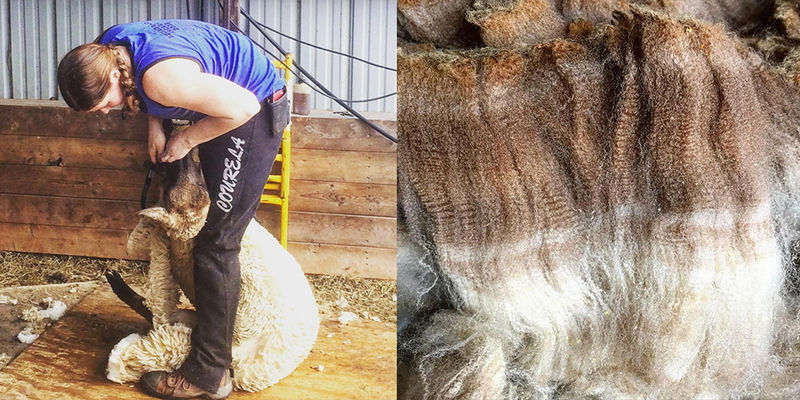 She is the most incredible shearer you’ll meet.’ And she was right. I’ve enjoyed getting to know Emily more and watch her journey on Instagram. 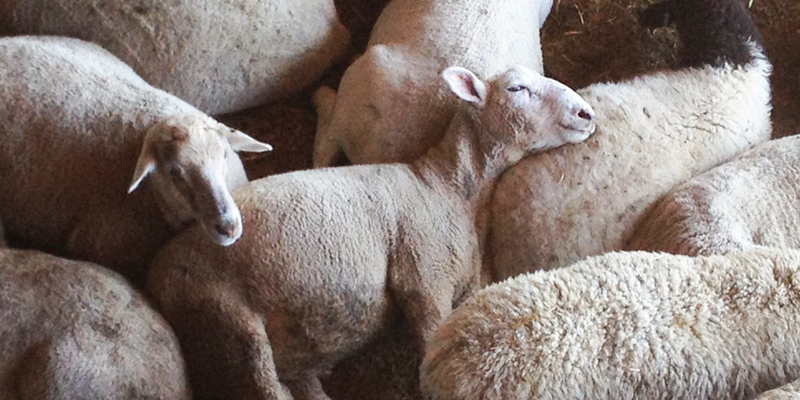 Her passion and love for sheep, their care and the wool industry is inspiring. I hope you enjoy getting to know her as she tells her story. 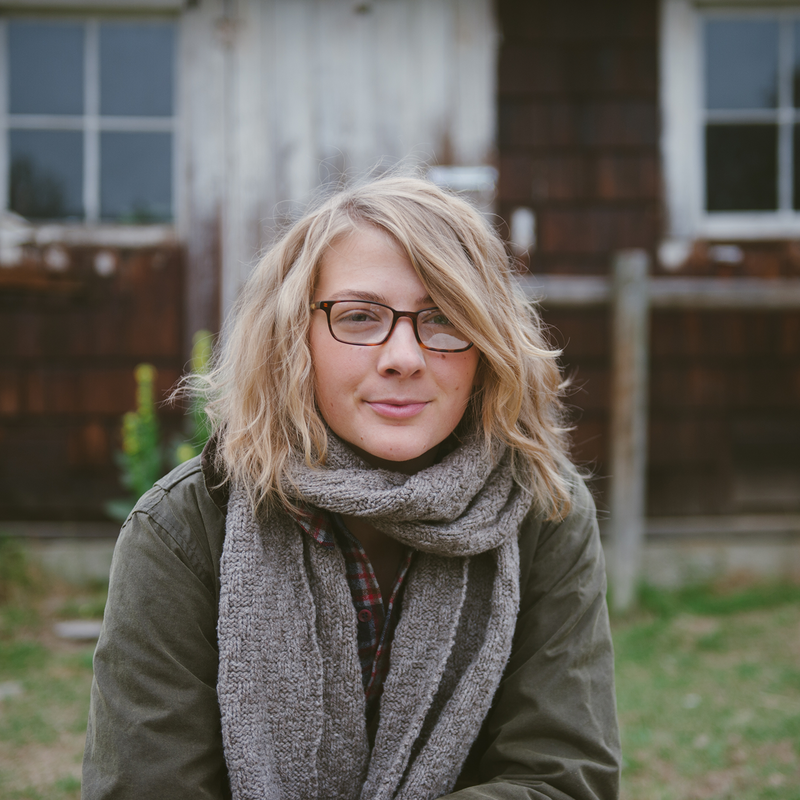 You can find Emily at chamelinshearing.org and on Instagram @gypsyshearer. 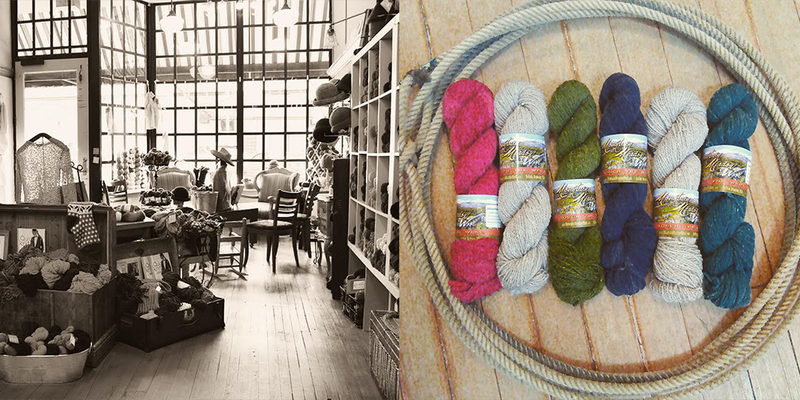 Sponsor: Located in Historic Downtown Laramie, Wyoming, Cowgirl Yarn is a fiber-lover’s paradise. 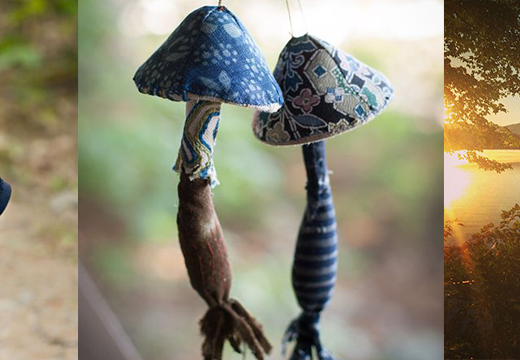 Their unique collection of scrumptious yarns, luxurious needles, fashion-forward patterns, one-of-a-kind accessories, and oodles of inspiration provides the ideal home for any and all knitters, crocheters, weavers, and spinners. 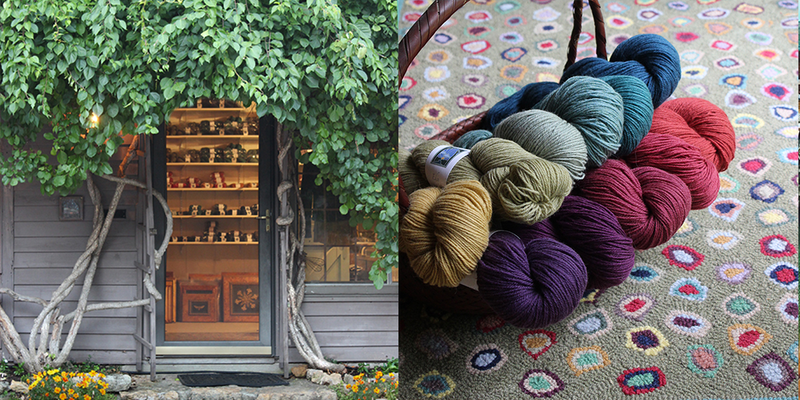 They are proud to offer a large and exclusive selection of yarns and fibers that are produced in Wyoming. They also represent over 25 brands that are made in the USA as well as stock goods from 6 out of the 7 continents. 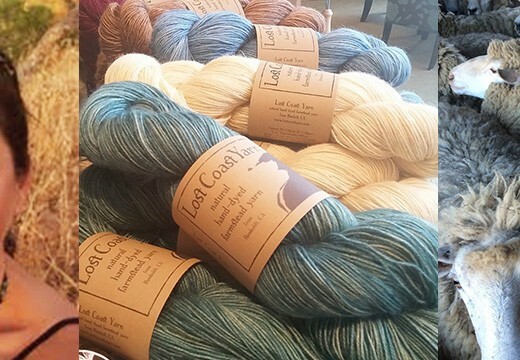 Enjoy a taste of the world, of the United States, of Wyoming at Cowgirl Yarn. 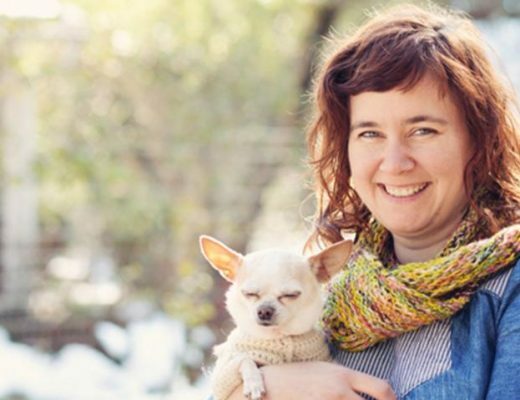 Make sure to visit cowgirlyarn.com for a list of their gatherings and classes, including their community gathering every Monday evening. 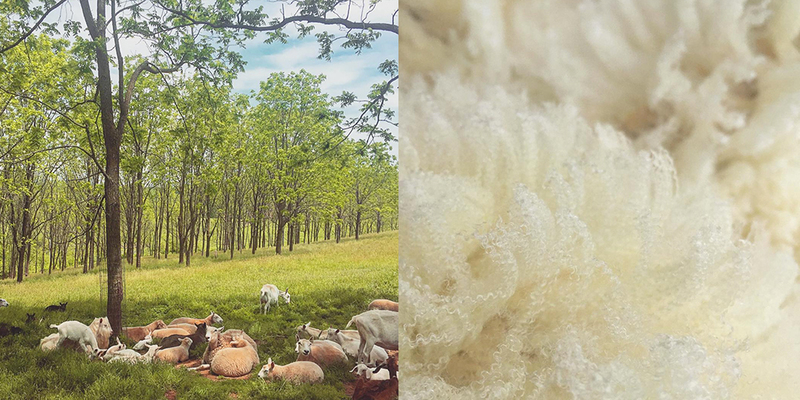 And follow along with their fiber exploration on Facebook, Instagram, the Cowgirl Yarn blog or join their Email list. Giveaway: The winner of last weeks episode giveaway is Adrienne Simmons. You’ve won the Constellation Bandana Embroidery project kit and No. 2 FAUNA from Making Magazine. This week’s giveaway is sponsored by Your Daily Dose of Fiber and they’re giving away a skein of their handspun Alpaca worsted weight yarn. To enter leave a comment on this post. Looking forward to listening! I sheared a sheep once it’s really really hard work. That’s really a labor-intensive job!! Beautiful results from hand shears. I am learning so much …thank you! A new episode! Looking forward to giving it a listen. Gorgeous pictures as always! Absolutely loved this episode. 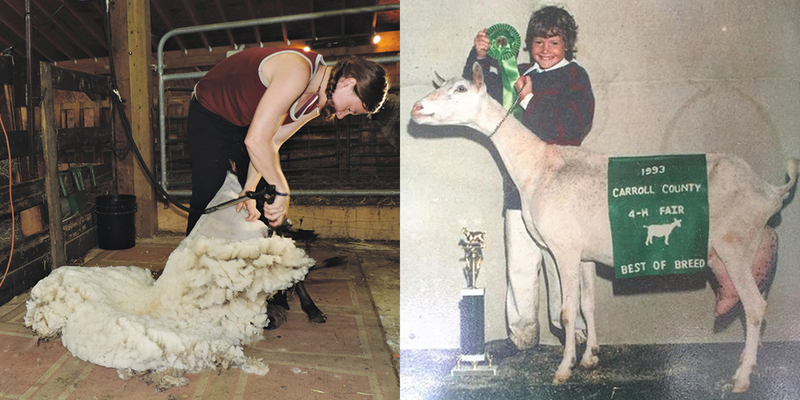 Have always been interested in learning more about shearing and wool classing. This was a great overview and so inspiring. my 2017 resolution was to make socks and my first pair were out of gifted alpaca….. not the greatest sock choice but omg i LOVE. who cares if they felt on the bottom?/ they’re worsted weight anyway! As always, you help to feed my making soul! A lovely time spent listening while my little fella sleeps in the car, again. Always excited to hear your new episodes! Thanks for great content we can depend on to be informative and inspiring! Yarn looks divine. Great listen, love the family background and just down to earth chat about sheep. Really like hearing about shearing! This area is totally new to me. I’m sneaking in episodes as naptimes allow – hope I get to listen to the whole show! Having only discovered your work here last fall, I have listened to every past podcast. Without anymore old episodes to tide me over between new ones I am now even more thrilled when there is one! Thank you! Great episode! We have Shetland sheep who are about to be shared, a small flock. Listening to how Emily schedules made me think of our shearer who has to do the same juggling. As a handspinner, I also appreciate her care and dedication to the wool industry with fiber artists in mind. Can’t wait to listen to what I know will be another great episode. My fiber education started with your podcast and I have become a real wool geek thanks to your amazingly curated podcast. Another interesting interview, thank you! I really enjoyed it during my walk today. Enjoying this episode so much! Thank you for the generous giveaway – alpaca, yum! Ashley I’m so glad you asked about controversial videos and gave Emily the space to respond. I’ve never heard a response to this question from the sheep industry and I really appreciated what Emily offered. Fascinating to hear from the shearers perspective! This was a fascinating interview. I love that she is such a tough woman! Wow and amazing sums it up! 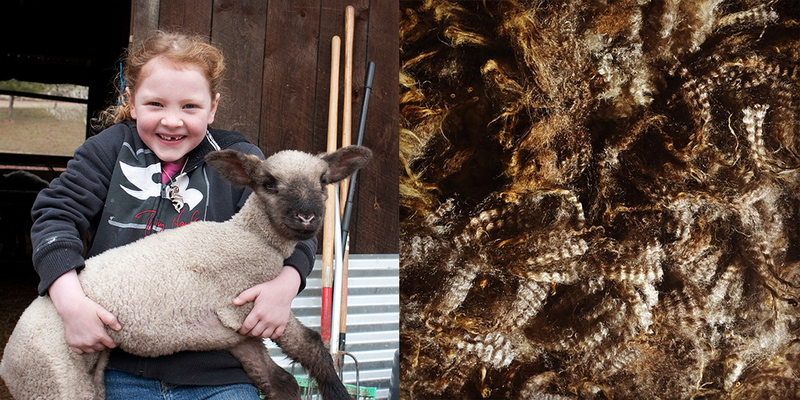 Emily has found her passion and exudes joy when speaking about shearing! Thank you for another great episode. 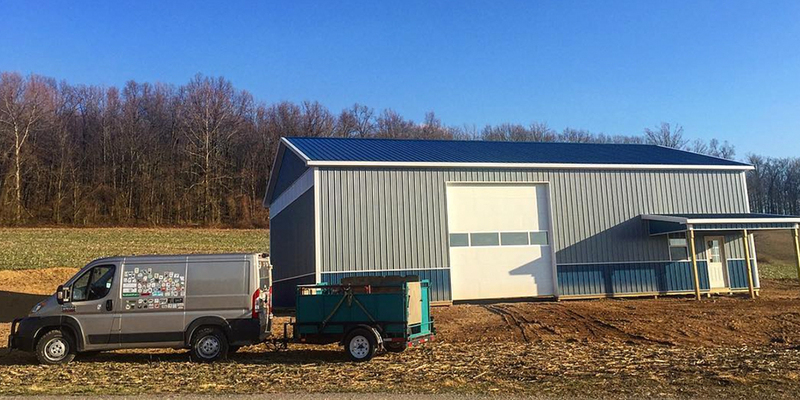 An impressive story of dedication to one’s craft. Much respect! It’s a privilege to hear the story of such an impressive journey. Thank you both for sharing. Great episode as usual! Love listening to these while I sew. This was so impressive. I hope to raise my daughter to be a strong, dedicated woman like Emily! Loved hearing her perspective. Thank you for sharing! I love your podcasts and recommended them to a knitting friend who has also become a fan. I am glad that you speak with a wide variety of fiber artists: . Thank you! Love how the sheep look happy. Thank you for the opportunity. Love the podcast. Always brings a smile when it pops up on my list. Thank you! I love the photo spread! The beautiful red hair girl smiling with her heart and holding the sheep is my favorite!! Another fantastic podcast! Thank you for bringing some mellowness to my workday. I would love just a looped track of your spinning wheel, and the music box. Sooooo relaxing! Amazing as always! 🙂 Thank you! 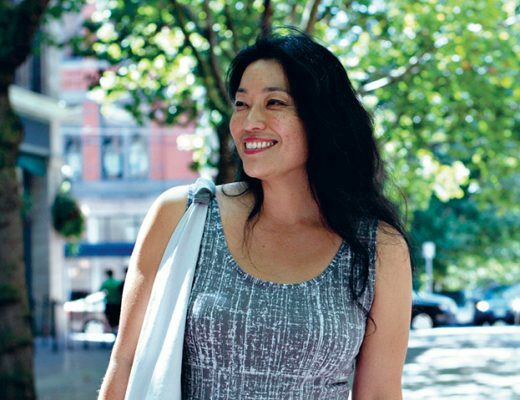 Psyched for the interview — I used to read her (discontinued) blog and wondered what she was up to. So many great photos. The Alpaca yarn looks yummy and squishy. This episode has both my husband and I entranced. Emily sounds amazing! Thank you for finding such wonderful guests. Fascinating to hear about this job, and the physical demands of shearing sheep. Love listening to your podcast. Wow, another strong, inspired and inspiring woman to learn about! Thank you, again. This was a great episode. 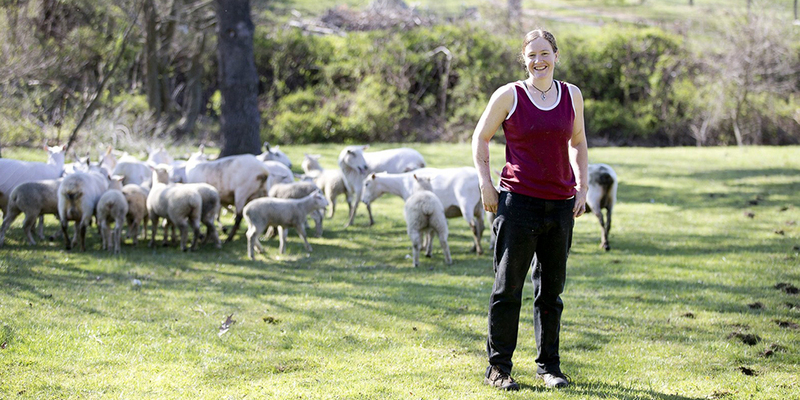 This way of life and type of career is so foreign to me – thank you for sharing Emily’s story and viewpoints on shearing. Another very interesting interview for this city gal. Nice to see the return of Man on the Street. 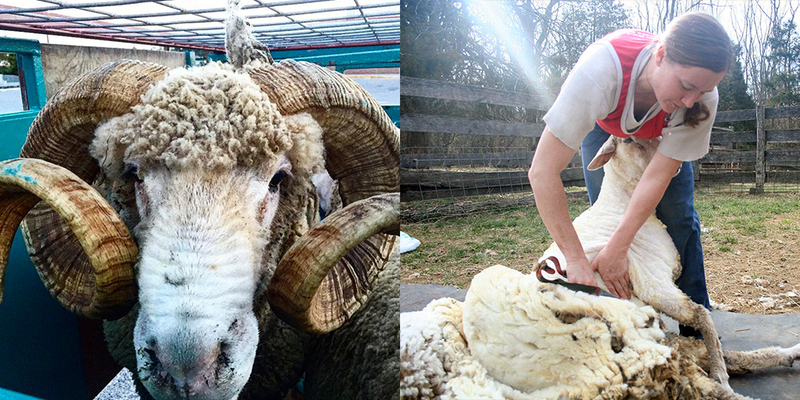 This episode was super fansinating and has inspired me to learn more about shearing! Very interesting episode and I learned a lot. Thank you for the podcast, it was excellent. 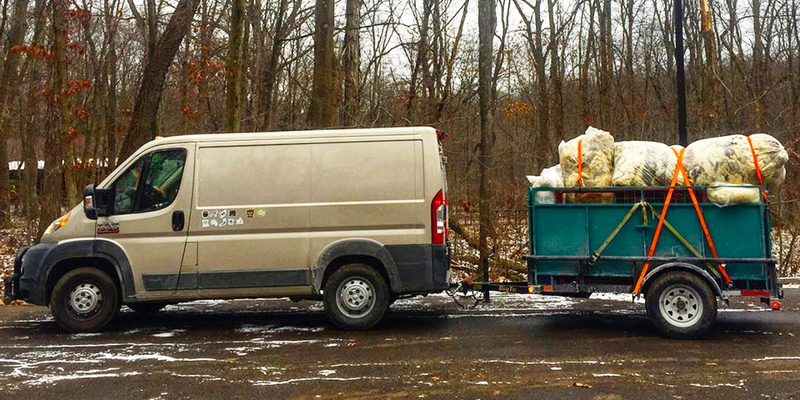 Your blog and podcast has helped me to dive into a whole new word of fiber and learn a ton! (It’s so exciting =-D ). This is the first episode I’ve listened to, and it was very interesting! Love the pictures and the stories about sheering sheep. Wow. This was so amazing. Really, really amazing. I learned so much. Thanks for interviewing Emily, Ashley. It’s so important for community , and for the earth. Very pleasant listening… and know the work involved. Good luck in all future endeavours and continued shearing! Another very interesting interview and great pictures too. Thanks for the chance. Another magical episode! Congrats and thank you!! As always, a great story and I always learn something too. I met Emily several years ago after a demo at Maryland Sheep and Wool. She was so kind to my daughter that I think she may have a little shearer in training waiting in the wings. Hi! I just discovered this podcast and I love it. Thank you so much for sharing all of this wonderful information. I’m able to listen to this episode AND go back through the archives while I work. Thank you. I enjoy your podcast. As always, I enjoyed you, and your guests. Thank you for bring such thoughtful and interesting information to all of out here in “podcast” land. 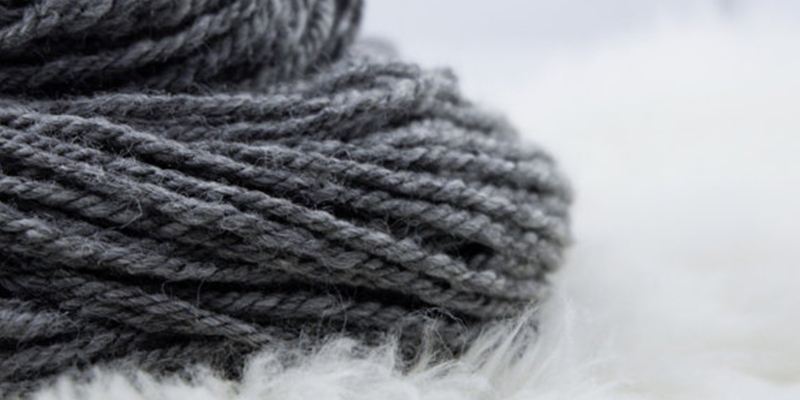 Worsted alpaca is pure luxury. Thanks for the chance! Thanks for this giveaway! 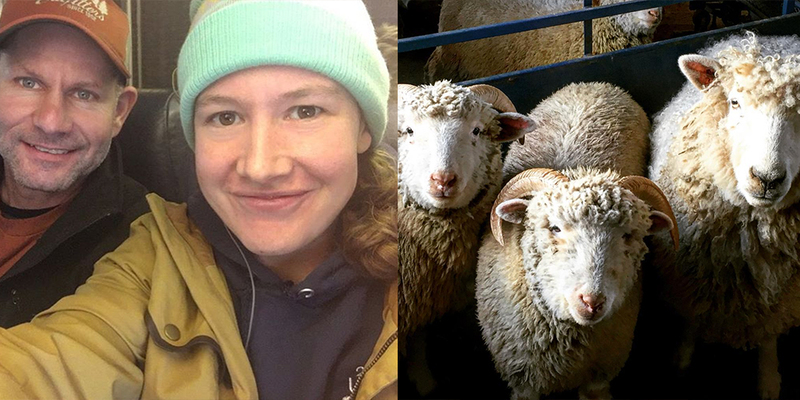 I really enjoyed this podcast–it was great to hear from someone whose job is shearing sheep, and what all that entails. 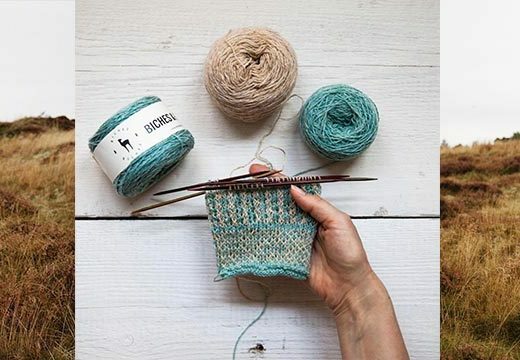 It’s important to understand what all (all the processes and works) goes into that skein of yarn you’ve bought. Cheers! 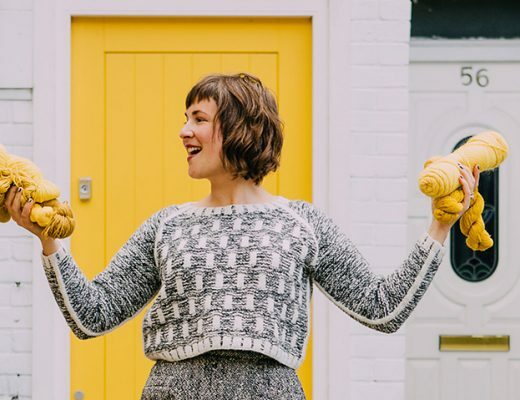 Handspun alpaca – what a luxury to win! Thanks for the giveaway! Your voice and your podcasts are the soothing salve I so desperately need after my stressfillled day job. I listen to them several times each. I live my dream during your podcasts. Thank you! I love there alpaca yarn and am so excited! Thanks again for an inspiring podcast! Looks amazing! Thank you for sharing. Another great episode – soothing voices and full hearts. Thanks again for this amazing podcast! Hopefully in the next couple days I’ll have a chance to settle in and enjoy this one, but the pictures look fantastic! 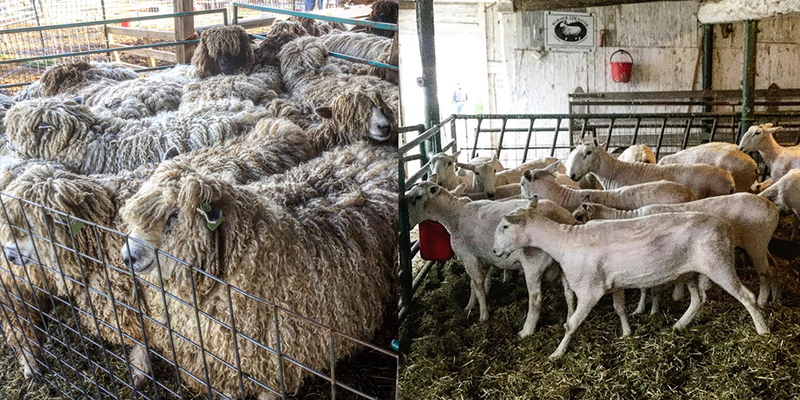 Love seeing the transformation from shearing!